Thinking about buying a brand new car? Most lenders require you to have full coverage car insurance to protect their investment for the duration of your lease or purchase agreement. However, even if you were to buy a brand new car cash outright and skip the lender, you should still consider getting full coverage auto insurance in Fall River to protect your investment. Your local insurance agency in Fall River can help match your needs to the best policy available to ensure that you are adequately covered and protected in the event of an accident, auto theft, or another covered incident. If you already have a Fall River car insurance policy, consider reviewing it at least once each year to make sure that you have enough coverage and that any changes are recorded to protect you when you need it most. What is “Full Coverage” Insurance? Understanding the different types of auto insurance in Fall River can be tricky. There are lots of insurance industry words and terms that are used by agents that the average person does not use in their everyday lives. Full coverage car insurance is designed to protect you and your car in just about every situation. It is meant to help shield you from being sued or by being left financially stranded by a car that has been deemed totaled. It can even protect you from damages caused by an uninsured or underinsured driver. However, even in the best of circumstances, there will always be additional expenses and frustrations no matter how good your coverage is on your Fall River car insurance policy. The term “full coverage car insurance” simply means that you don’t just have the basic liability insurance which is required by law, but that you have purchased a policy that includes comprehensive and collision insurance as well. This type of policy is often required by lenders to protect themselves financially if your vehicle were to become totaled or severely damaged while you are still paying off the loan. However, it does not pay off the loan, especially if the amount you still owe is more than the accepted value of the vehicle. In that type of situation, a program called “gap insurance” should be purchased, especially when you are buying a new car with a high value. Which Insurance is Best for You? It is important to work with a reputable insurance agency in Fall River to find the best full coverage car insurance to protect your vehicle while meeting your needs concerning budget and any potential risks. The goal of car insurance is to prevent you from becoming financially ruined by an accident or incident, so it pays to make sure that you are adequately covered. You don’t want to pay out for a Fall River car insurance policy that your lender demanded only to find out that you should have added extra protection for yourself. Full coverage car insurance should guarantee that the type and amount of coverage are appropriate for the type of vehicle that you own, as well as any other potential situations. additional services – towing, roadside assistance, rental car, etc. A lot of people misunderstand the term “full coverage car insurance” and assume that it covers absolutely every type of incident or accident in every single situation. This just is not true. Some drivers have additional risks and considerations that may require extra coverage through a rider policy or another type of auto insurance in Fall River altogether. Some of the things that are not covered with a typical full coverage car insurance policy from your local insurance agency in Fall River include the off-road use of the vehicle, racing or other speed contests, and even use of a vehicle in a car-share program. Common sense tells you that these types of situations should not be covered by your Fall River car insurance policy, but some people are surprised when they find out that their behavior or willful use of the vehicle caused a claim to be denied or rejected. Other situations where coverage might not be provided by your full coverage auto insurance in Fall River include using a vehicle for delivery purposes or business use of any kind. Intentional damage is also not covered, such as getting mad and hitting your vehicle or ramming it into something. Any destruction or confiscation of the vehicle by a government or civil authority will also not be covered by most policies, as well as any unnatural catastrophes, such as a war or nuclear contamination. To find out for sure what is included – and what is not – speak with your local insurance agency in Fall River by phone or during an office visit to discuss your needs for full coverage car insurance. You can call Paul B. Sullivan Insurance Agency, Inc. by dialing 508-678-9611. 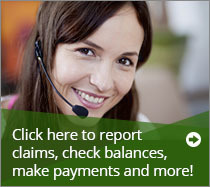 Our agents can answer any questions that you might have about auto insurance in Fall River and the surrounding area. ← Fall River Homeowners: Are You Prepared for Hurricane Damage?